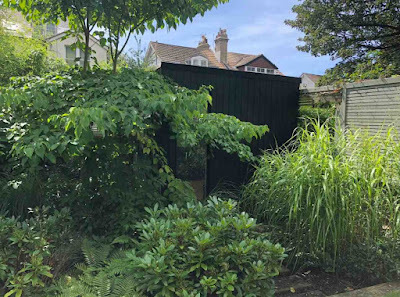 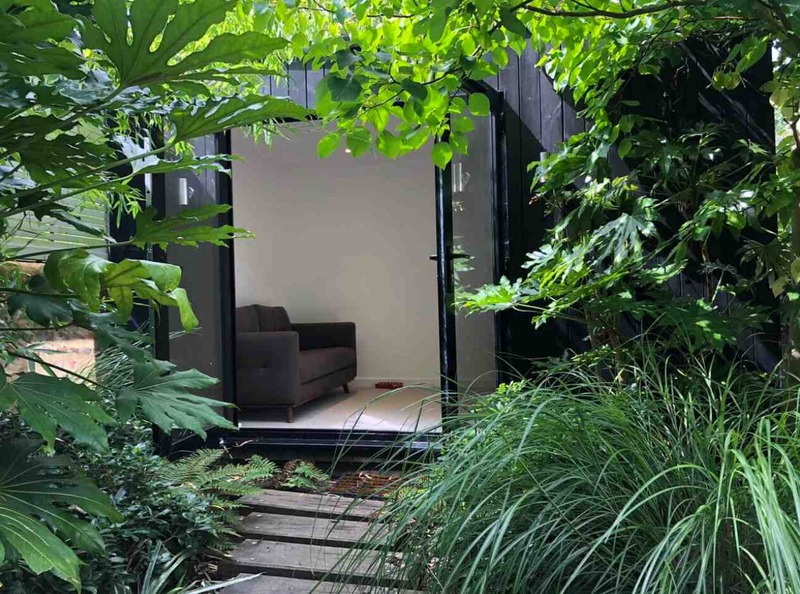 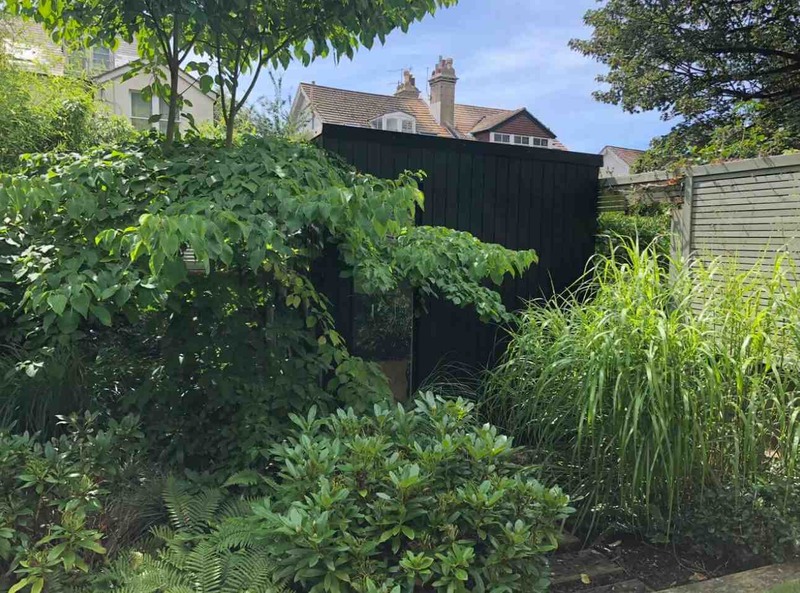 Black is a surprisingly popular choice among shedworkers (and professional garden designers) for their exterior garden office colour. 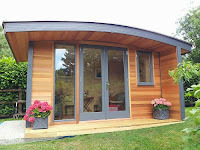 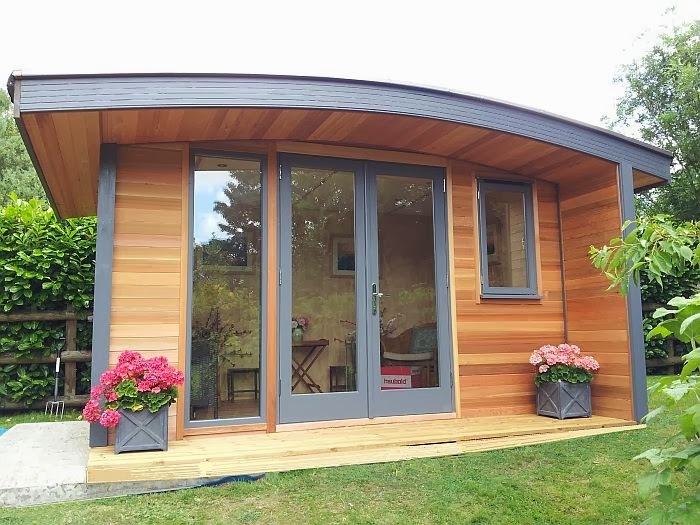 Here's a particular nice example from Sussex-based Urban Escape Studios which is almost hidden in the corner of the clients' garden. 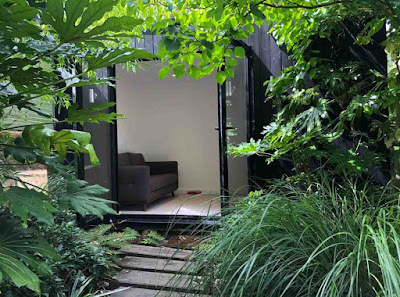 It's one from their Astana range, 4m x 2.5m, with dark grey aluminium French doors, full length picture window, and cladding which was stained with Black Ash to blend into the greenery.